General Mark Grimaldi, spymaster extraordinaire, is in line to be the next Home Secretary, the golden ring for which he's spent his entire career striving. Things are going swimmingly until his superior drops a news bomb: the Home Secretary must be settled. Married. With a wife. Of course, those in charge don't see any problem with this directive. Plenty of women in London would be delighted to marry the man. If only it were that easy. Nicole Huntington Grimaldi was deeply in love when she married her husband and certain her feelings were returned. But she miscalculated the depth of his enmity toward the ton and his estranged family in particular. Mere months into their marriage, a misunderstanding tore them apart and Nicole moved to France where she has lived for the past ten years. She's content, with good friends surrounding her, but even though anger with her estranged husband lives in her heart, there's also love for the man she thought she would be with forever. And loneliness. She wants more than a solitary existence. When Mark arrives on Nicole's doorstep and asks her to pretend to be happily married to him, she seizes the opportunity to have what her heart most desires and agrees to accompany him back to London temporarily if he will grant her request in return. It should be easy. Swan about London acting like they're in love, secure Mark's appointment, and return to France, hopefully, with her deepest wish realized. But unexpected news throws Mark's life into chaos and both Mark and Nicole into the middle of a murder investigation. Will they find the killer before one of them becomes the next victim? Will Mark finally mend fences with the family he's spent his life resenting? Will pretending to be in love give Mark and Nicole the second chance they both want, even if one of them won't admit it? 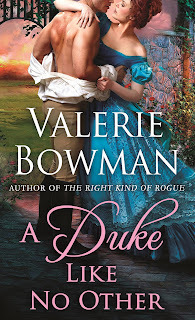 I've enjoyed all of the books in Valerie Bowman's Playful Brides series but A Duke Like No Other is one of my favorites and, in my opinion, one of Bowman's best. Nicole and Mark are both compelling, complex characters who have allowed pride and stubbornness to keep them apart for ten years. Young when they married, they had desire and love but, for Mark, there was an absence of trust and, for Nicole, it was easier to walk away than stay and fight for her marriage. Both they and their relationship are compelling and complex, with obstacles that must be overcome and emotional wounds that must be healed before a happy ending can be realized. Bowman takes readers on their shared journey from past to present, allowing us to delve more deeply into their thoughts and emotions, and the events that separated them. The pace never lags and the investigation of the murder moves their relationship forward while also bringing resolution to familial events that Mark has allowed to define his life. The secondary cast is vibrantly portrayed and includes two characters who surely will have a story of their own - at least, I hope they will! 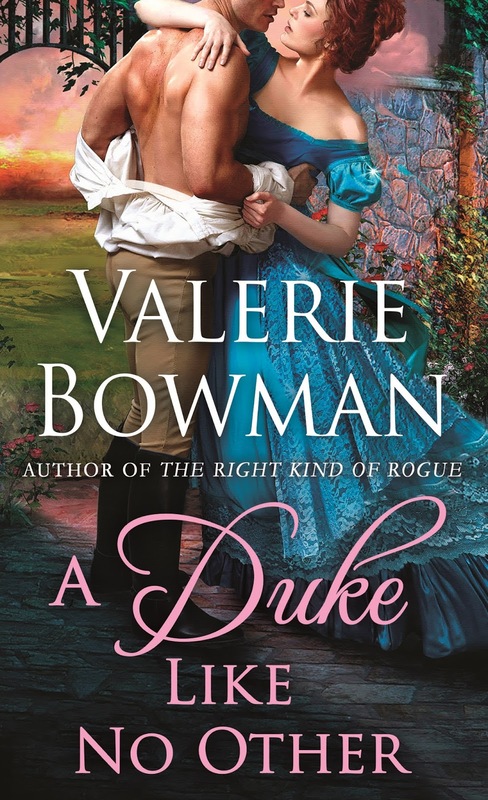 With mystery, sensual romance, witty banter, and a depth of emotion that will have you yearning for a happy ending as Mark and Nicole yearn for one another, A Duke Like No Other is a welcome addition to Valerie Bowman's Playful Brides series and a historical romance not to be missed. Are you reading the Playful Brides books? Do you have a favorite book or couple in the series? Valerie Bowman grew up in Illinois with six sisters (she's number seven) and a huge supply of historical romance novels. After a cold and snowy stint earning a degree in English with a minor in history at Smith College, she moved to Florida the first chance she got. Valerie now lives in Jacksonville with her family including her mini-schnauzer, Huckleberry (and the newest addition, Violet). When she's not writing, she keeps busy reading, traveling, or vacillating between watching crazy reality TV and PBS. 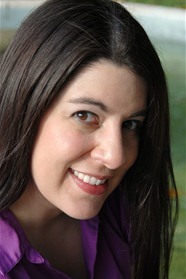 She is the author of the Secret Brides and Playful Brides series. This is a fabulous book with great characters along with a mystery combined with a romance. Valerie Bowman has long been a favorite author of mine and I eagerly await each and every one of her books! I highly recommend this book! Enjoy! Glad to hear you enjoyed it too, Connie! I've not started this series but I do enjoy this author so sounds great! I've thoroughly enjoyed it, catslady. I really enjoy Valerie's books! I started the series but stopped somewhere along the line... I've got a lot of catching up to do. This historical sounds wonderful and captivating. I haven't read Valerie's novels but would love to start this series. I have not as yet read Valerie's books but look forward to beginning this enjoyable reading experience. I haven't read any of the other books in this series, but your review has really hooked me on this one. Even though this is the 9th book in the series, it can easily be read - and enjoyed - as a standalone. Hope you enjoy it, Cheryl! I liked Lucy and Derek in The Unexpected Duchess. Can't wait to read this one! Hope you enjoy it as much as I did, Amy! Thanks for the giveaway. I haven't read this author yet. I have several of the books from this series in my tbr pile, but haven't read them yet - I'll have to move them to the top of the pile! I liked Christians and Sarah's story in The Legendary Lord. I love this series, and I'm dying to read this one. It's a good one, Diane! I haven't read this author yet, but a friends so loved The Legendary Lord, that I have it in my TBR. I love getting new-to-me author recs from friends! I loved this book. I am a Valerie Bowman fan. She always seems to create characters who draw me right into their story. I have enjoyed each of the Playful Brides books I have read...and every time - the one I just read is my favorite until the next book comes along. I love when an author can do that, Annette: make each book a favorite then top it with the next! A favorite trope and a happily ever ending for a good sounding couple. Haven't started this particular series, but it sounds good! The good thing is that this book can be read on its own to give you a taste for the series! Valerie Bowman is a new author to me, but this sounds really interesting. I'd love to read it! Hope you enjoy it, Janette! I have not read this series. I have read several anthologies with novellas by her and have one or two of her older books in my TBR Mountain. I definitely like the premise of the story and the way it is said to develop. Marrying young can have its disadvantages. Who you are at 18 is not always who you will be later. At such a young age few are capable of dealing with difficult situations. One can only hope that a reunion when they are older and wiser will remind them why they first fell in love. That was one of the things I enjoyed about the book; seeing them make the mistakes of the young then have a second chance with the wisdom of age and experience under their belts.